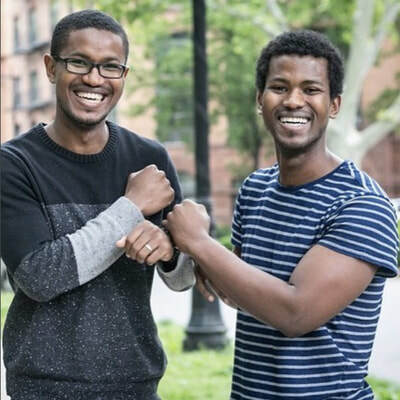 ​Under the elevated tracks of the Metro North Railroad, tucked behind East Harlem’s historic La Marqueta, an abundance of hope is rising along with challah, naan, and Parker House rolls. Inside Hot Bread Kitchen, a group of women Bakers in Training are working toward a stable financial future for themselves and their families, as they acquire the skills to launch professional careers in the baking industry. Meanwhile, in a contiguous space just south of Hot Bread’s bread baking operation, 75 fledging food entrepreneurs are working to grow their businesses’ production and sales in one of the most competitive food capitals of the world, as they share a commercial kitchen and support services as members of Hot Bread Kitchen’s culinary incubator, HBK Incubates. Jessamyn Waldman Rodriquez began Hot Bread Kitchen out of her Brooklyn kitchen in 2007 and relocated operations to its current space at La Marqueta in 2010 as part of a city effort to revive a once-thriving market dating back to the era of Mayor Fiorello LaGuardia. 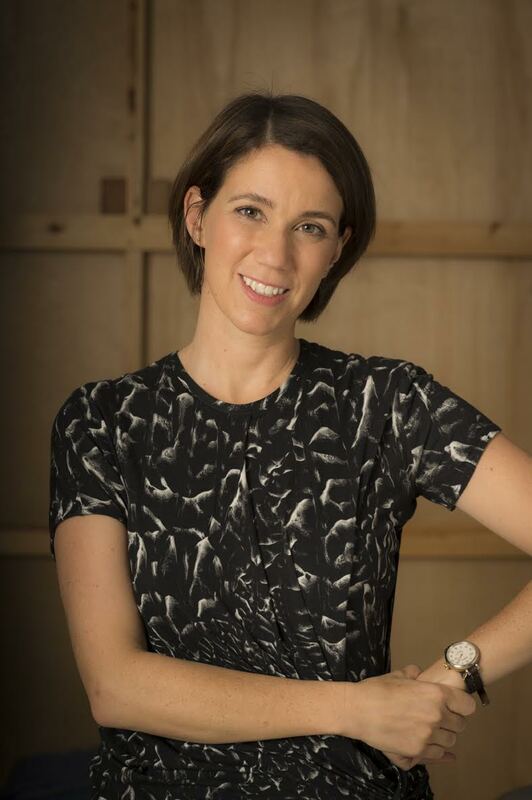 Jessamyn launched HBK Incubates in 2011. On a recent morning tour, Hot Bread Kitchen was abuzz with activity. Women in purple t-shirts were weaving in and out among one another, mixing flour, shaping dough, tending ovens and preparing baked goods for packaging. These bakers in training were learning every aspect of bread baking under the expert eye of a seasoned production manager—one of Hot Bread Kitchen’s first graduates. Hot Bread trainees are identified through a variety of referrals—friends, family, and community-based organizational partners. 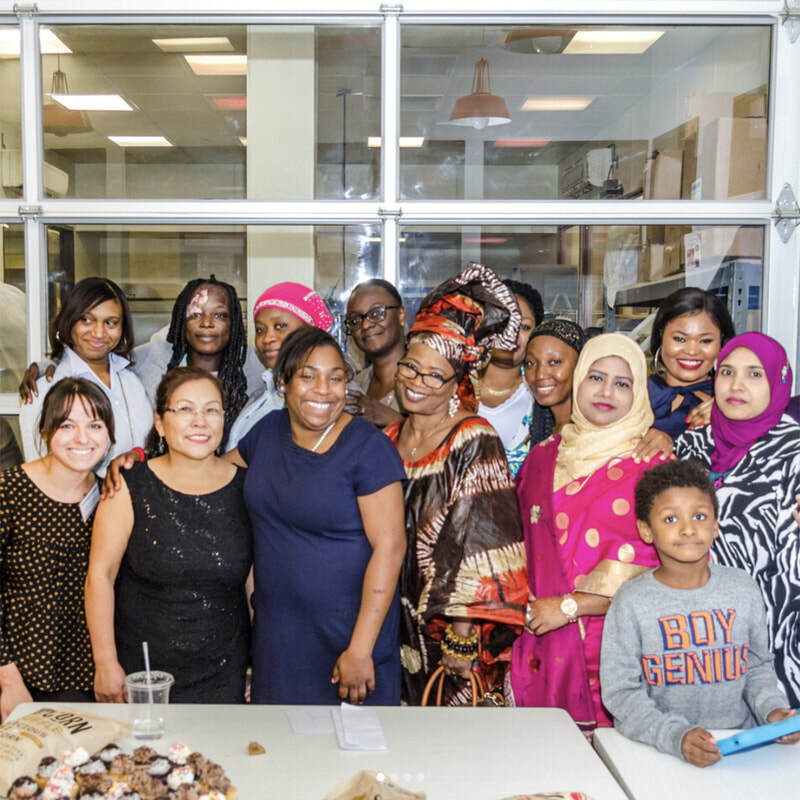 Since its founding Hot Bread has trained more than 200 women, representing 40 countries, some of whom live in the surrounding East Harlem neighborhood, others in upper Manhattan, the Bronx and across New York City. 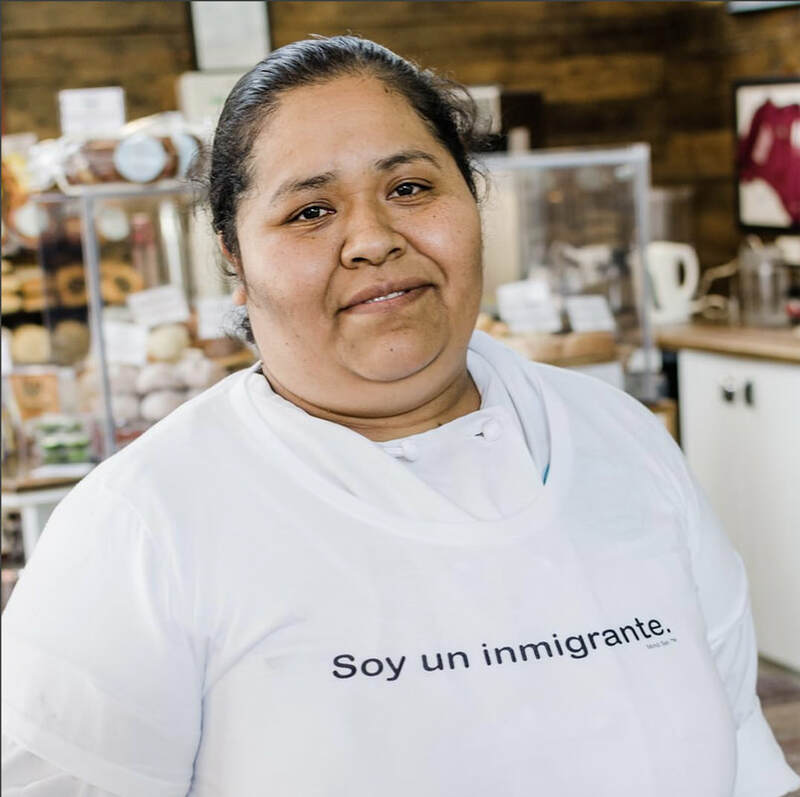 Clockwise from top left: Jet, a Hot Bread Incubator member, community-organizer, and owner of Bad Gurls Burgers, a pop up burger shop; Nancy, a Hot Bread Kitchen graduate and master tortilla maker, is a native of Puebla. She learned her craft from her grandmother and perfected it in the Bakers-in-Training program;​ Bakers-In-Training graduate Lutfunessa, is now a Hot Bread Kitchen production manager and oversees the bakery's Greenmarket in Jackson Heights, Queens; The Diallo brothers, natives of Conakry, Guinea, make ginjan, a ginger-based beverage derived from their mother’s recipe. They produce it by hand at HBK Incubates and hope one day to open a production facility in Guinea to take their business to scale. Trainees spend about 6 months of paid training time in the bakery, in a live, “on the job” working environment, baking the bread that goes out the door under the Hot Bread Kitchen brand. Major accounts include retailers like Whole Foods Market, Park Slope Food Co-op, and Dean & Daluca, along with restaurants like Untitled at the Whitney, Gramercy Tavern, and Fuku. In a virtuous circle, Hot Bread Kitchen’s profits are plowed back into the training program and the Hot Bread Kitchen incubator. In addition to time in the kitchen—typically 3 or 4, 8-hour shifts a week—trainees spend an hour and a half a week in a classroom setting where a certified on-staff ESL instructor, Nassem Kapdi, also a trained baker, teaches the math and science of baking, as well as critical soft skills. 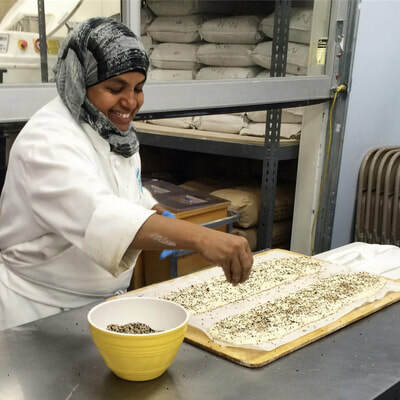 “For many of the women in our program regardless of their place of birth,” notes Karen Bornath, Program Director of Bakers in Training, “this is their first experience in the formal work sector. They may have been doing house cleaning or childcare or home health care and there is a lot to learn about being at work in a more structured work environment.” As Bakers in Training they also learn to manage their child-care responsibilities and other daily life challenges. 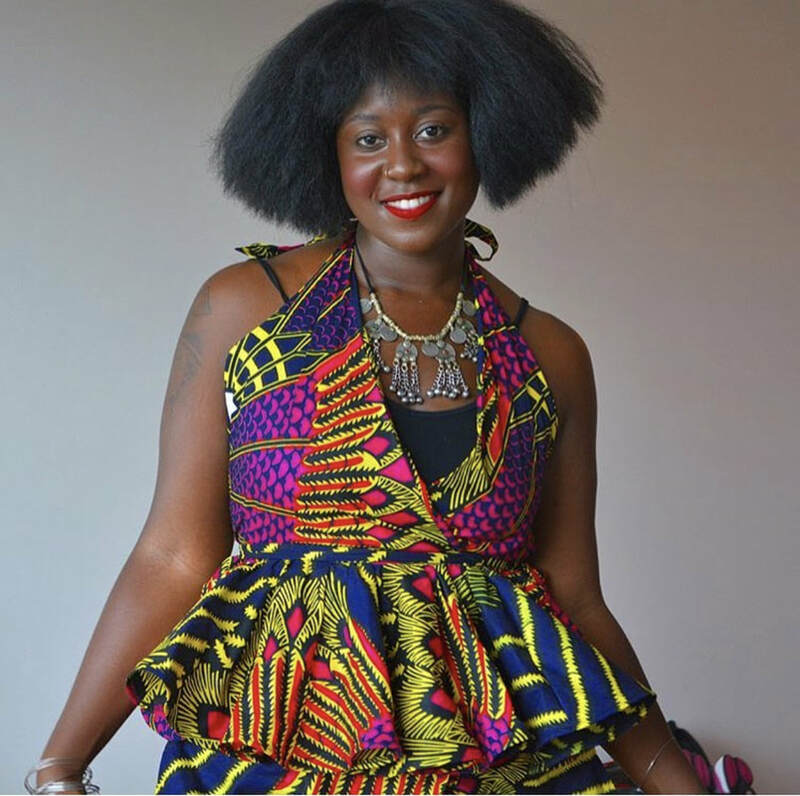 Oumou, a native of Mali who came to the U.S. at 17, successfully juggled child care arrangements and her work at Bakers-In-Training. 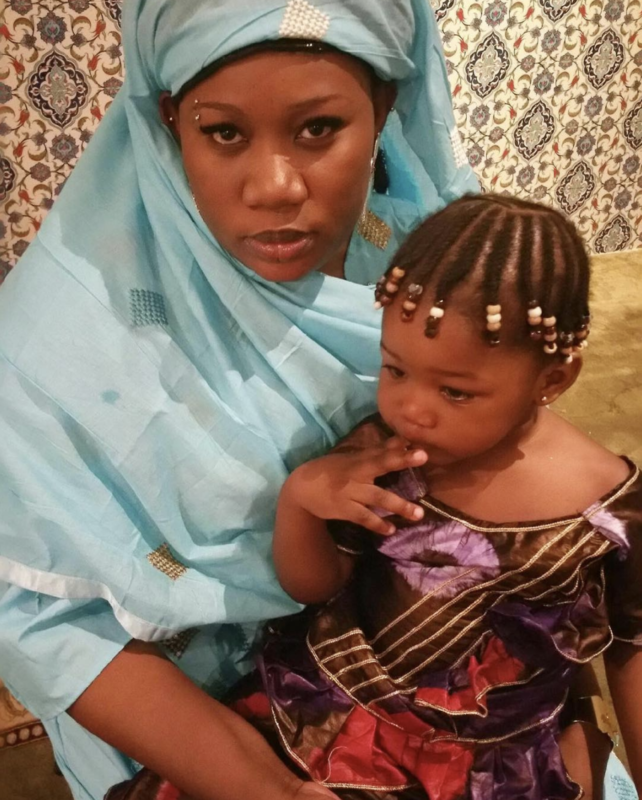 After graduation she secured a full-time job at Zaros Bakery and is now able to support herself and her daughter. 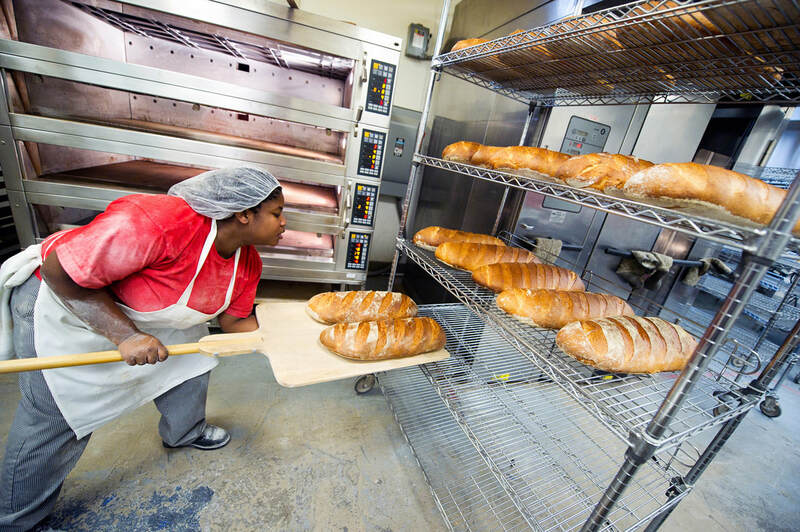 All trainees are paid New York City’s minimum wage and when they complete the program, Hot Bread Kitchen secures full-time work in bakeries and restaurants across the city for one hundred percent of its graduates. “We are looking for companies that can offer a better than average hourly wage, benefits, and growth within the organization.” Karen notes. “We place our trainees with companies like Whole Foods, Eataly, Amy’s Bread, Google, Fresh Direct and others.” Hot Bread Kitchen has worked with more than twenty hiring partners and is continually building relationships with prospective employers. HBK Incubates does everything it can to support its entrepreneurs’ success, to mitigate startup risks, and prepare the business for life outside the incubator. Those lucky enough to be selected for membership in HBK Incubates enjoy twenty-four hour access, seven days a week, to a fully equipped 3,000-square-foot kitchen with ten production stations, as well as a receiving bay and delivery area staffed by an onsite porter. In total across the organization, 60 percent of the operating budget comes from bread sales and kitchen rentals; the remaining funds come from philanthropic partners. Philanthropy enables the organization to subsidize incubator membership fees in cases of need. These are assessed on a sliding scale and forty percent of businesses receive a subsidy. “We want to address low income being a barrier to starting a food business,” says Kobla, “and some of our most scrappy and clever entrepreneurs come out of that demographic.” In addition to a flat fee, members pay hourly rental rates for kitchen space and for the use of storage and cooler space. Consequently the more successful businesses tend to pay higher membership fees. Among its business successes Hot Bread Kitchen counts a popcorn maker, Pipcorn, which now supplies to Whole Foods. Access to kitchen space and equipment is only one part of the value equation for HBK Incubates members. Kobla, who holds an MBA in finance and entrepreneurship from NYU and is experienced in small business advising, offers business development support and other Hot Bread Kitchen staff members offer marketing and sales advice. Additionally Accion, a nonprofit consortium of Community Development Financial Institutions, provides advice on access to capital. A pre-incubator Entrepreneurial Assistance Program is also offered to those not quite ready for the incubator, providing a pipeline of new members as spaces become available. A group purchasing program is also in the works, which will leverage bulk buying to secure better prices for members. Hot Bread Kitchen is always looking for ways to help entrepreneurs access new markets. A recent buyers showcase attended by representatives from Whole Foods and Fresh Direct and other large retailers yielded several new accounts for incubator enterprises. Hot Bread Kitchen also makes introductions for its catering business members to other institutional accounts and to Hot Bread Kitchen donors. The 2017 graduating class of Hot Bread Kitchen, its largest ever. Twenty-four women graduated from Bakers-in-Training and two women entrepreneurs from the culinary incubator. Please share your thoughts on HOT BREAD KITCHEN here.